Somewhat fittingly, it is the orange one that ended up winning. 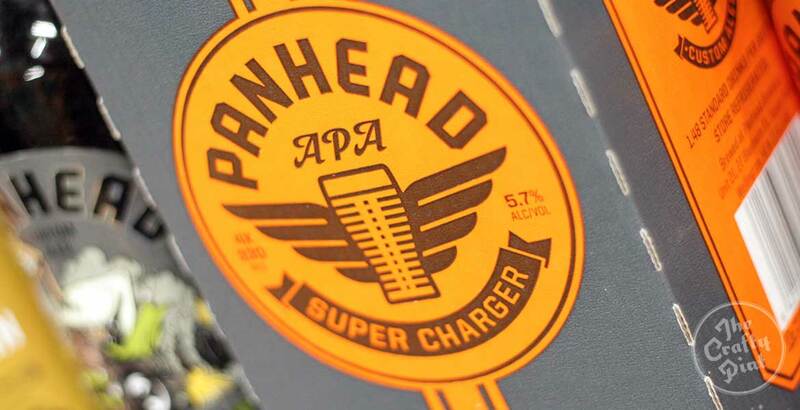 When travelling around New Zealand in the middle of 2016, in the months shortly before Panhead Custom Ales ceded its ownership to Lion, you couldn't help but notice the prominence and popularity of Supercharger, the Upper Hutt brewery’s orange labelled American Pale Ale. It seemed to have crossed into that elusive territory where it was loved by beer geeks as much as it was by the less informed beer drinker who, on many occasions, could be overheard at the bar asking, simply, for “The orange Panhead”. So it's perhaps little surprise to see Panhead Supercharger taking out top spot in the first GABS Hottest 100 Kiwi Beers poll ahead of Epic's Hop Zombie, one of two double IPAs in the top three. The poll is an offshoot of the Australian competition that has been growing ever larger over recent years, having started out as a bit of fun for The Local Taphouse staff and customers in Melbourne. Given their Midas like nature, it's perhaps also not that surprising – if still mighty impressive – to see Garage Project dominate the list overall with 19 beers; could any other brewery even put up that many beers for the poll? The reach of brewers, concentrations of population, the desire of brewers to tell their fans about the poll (or not – recent champion NZ brewery Townshend's didn't register theirs for the vote, although more than 550 beers were registered by other brewers) and, potentially, the percentage of Aussies to vote in the poll will all have played a role in how the chips fell. You have to wonder, too, if Stu McKinlay's extended sojourn to the Northern Hemisphere is behind the Yeastie Boys landing a solitary entry. Says Our Man in NZ, Jono Galuszka of From Drinker To Brewer: "Yeastie Boys have had their eyes firmly on the United Kingdom, which has possibly harmed the company's popularity in the polls back in New Zealand. The beers are still tasting awesome, but one thing that's been missing in New Zealand is one-off releases. Yeastie Boys' creative director Stu McKinlay has been collaborating with a bunch of breweries in the UK, but I can't remember the last time a special release, aside from the annual His Majesty and Her Majesty, was put out in New Zealand." Anyway, while it might be a little rich to try to divine too much from what is, at its heart, a popularity contest, we do it every year for Australia so why not here too? The darlings of the Wellington and New Zealand beer scene more than matched their popular reputation, scoring 19 separate entries in the top 100, including five in the top ten. With just-announced plans to expand via contract brewing in the Hawkes Bay, their beers are certain to spread further afield – what odds on them cementing many of those top spots next year? Viewed through a regional rather than strictly urban context, breweries in and around New Zealand’s two main centres produced 82 of the 100 beers. 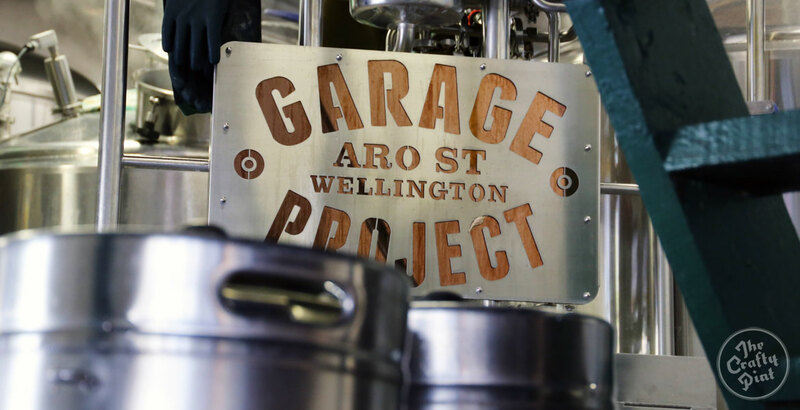 Wellington was thus able to live up to its “Craft Beer Capital” label, but only just; it was responsible for 42 beers compared with 40 from the Auckland area. 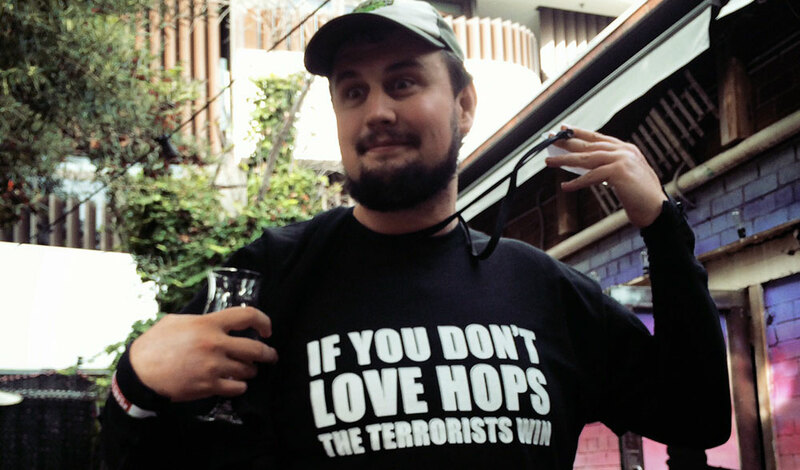 As with the Australian poll, hoppy beer styles were by far the most prominent. Applying some necessarily broad style categorisation, there were 31 IPAs, 22 that could fit in an expansive pale ale group and 11 double IPAs. This compares to 69 in Australia. That said, there were still more than ten beers that can slot into a broad stout/porter bracket and the popularity of the NZ pilsner style means there are ten lagers/pilsners of various forms in the 100; in Australia a mere two made the countdown. If you’re a brewery struggling to make an impact with an everyday IPA, your best bet for success in future polls might be to load up on the lactose and start brewing sweet stouts and porters; from Triple Chocolate to Flat White to Tiramisu to Rocky Road, there were ten dessert beers. That perhaps shouldn't be a surprise, given the trend at major beer festivals like GABS and Beervana, where the recent winners of People’s Choice competitions tend to be sweeter beers. If the results of this poll had been released on the day voting closed, there would have been no argument as to which of the two major players in New Zealand’s beer industry was winning in corporate craft beer stakes: Lion, thanks to its ownership of Panhead and Emerson’s, would have ended up with nine beers while DB would have had just the one, courtesy of Black Dog. 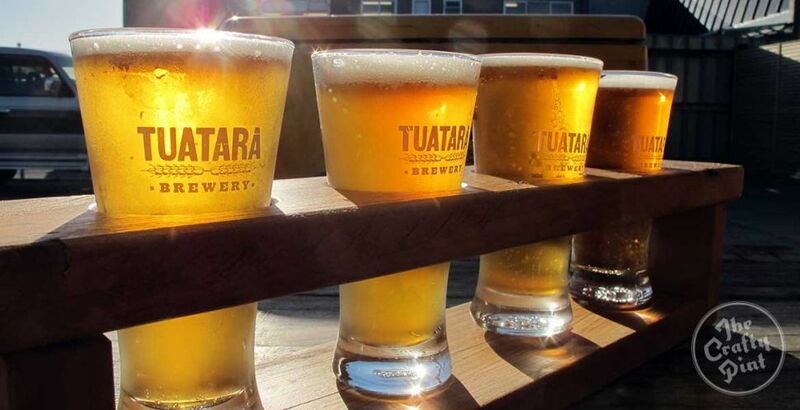 However, with Tuatara having since been purchased by DB Breweries, the Heineken-owned company can now lay claim to seven extra placings and has taken a big step towards parity with its enduring corporate rival – who said the 80s were over? More and more New Zealand beer is reaching Aussie shores to be dispensed at specialist venues like Sydney's Cutty Cellars (above). Twelve breweries had three or more entries in the top 100 and only one of them (Hamilton’s Good George) doesn't regularly export beer to Australia. 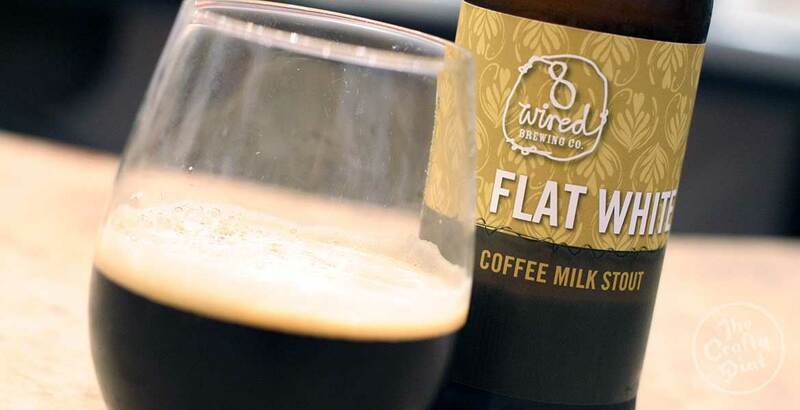 The Crafty Pint wasn’t privy to the number of Australian-based voters in the New Zealand countdown, but that so many of the top listed beers and breweries are reasonably widely available across The Ditch is probably not coincidental. Perhaps future polls can ascertain from which side of the Tasman voters hail. 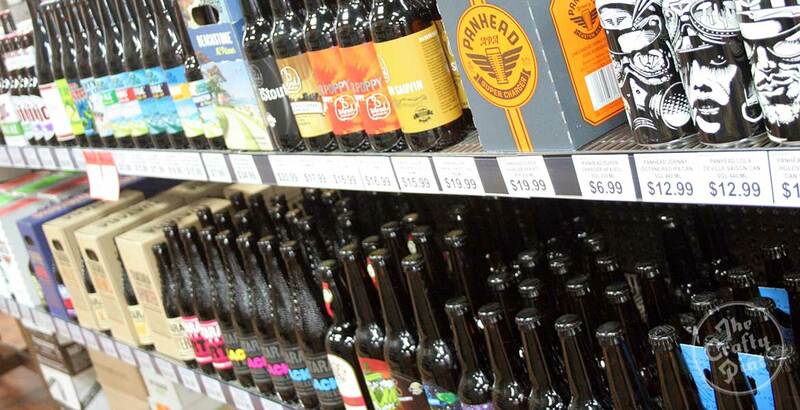 Despite being home to many breweries – and many fine ones at that – plus growing pretty well all of New Zealand’s malt and hops, just ten of the top 100 beers came from South Island breweries. At least, if you're an independent one. While the current champion (Tuatara) had a good outing and the previous year’s winner Lion was well represented (albeit only due to the beers of Panhead and Emerson’s), there was just one appearance for the champions of 2013 (Renaissance) and 2012 (Harrington’s). As stated above, 2014’s popular winner (Townshend) didn't enter beers for the poll. Our recently acquired NZ correspondent Jono says it's worth remembering that owner Martin Townshend has endured a tough year. He adds: "Martin has also been busy sorting out a new site. It seems he plans to sell more of his beer closer to home. If that's the case, we can't expect his beers to ever crack the Hottest 100." Please note that, as with the Aussie poll, we cast the net a little wider for the purposes of this breakdown than the narrower categories into which beers are registered. 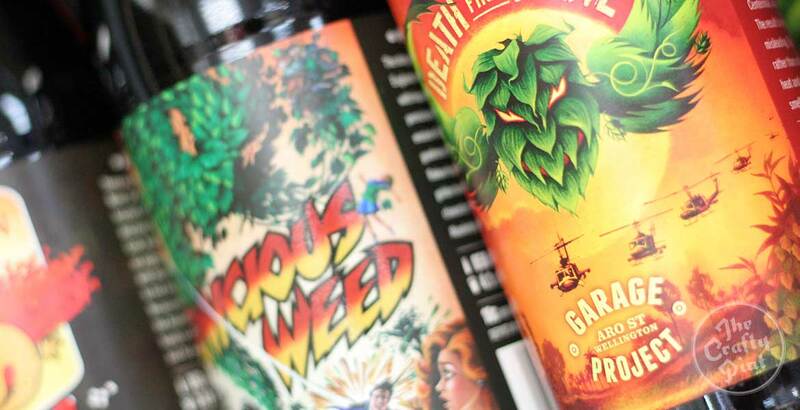 There are 25 beers from gypsy or contract brewers in the top 100 – 16 are from Epic and Behemoth (pictured) alone. This compares to just seven in the Aussie H100. Given the Kiwi craft beer scene has enjoyed more of a steady growth since its pioneers started out, rather than the boom, bust, boom again of Australia, we thought it would be interesting to see how the more established and newest operations fared in terms of beers in the 100. In both polls, it should be interesting to watch to see if older breweries can maintain the beer world's interest and whether new brewing companies can continue to break through in an ever busier marketplace. As with the last two years in Oz, the poll's founders scored six beers from their GABS festival in the 100. While the number of Kiwi beers in the poll available in cans didn't quite reach the 32 in Australia, more than a quarter – 27, are available in tinnies, something that wouldn't have been imaginable a few years ago. And, surprisingly to us at Crafty Towers at least, given every man, woman and their dogs seem to have a barrel project underway, just two of the 100 have spent time in oak. Perhaps this is due to limited availability; probably it will rise over time. And look out for interviews with the brewers that topped the poll on The Crafty Pint tomorrow.